The four talented fashion designers, who have been shortlisted for the 2013 Dorchester Collection Fashion Prize, have all had limited edition cocktails created in their honour. The designers each worked with a Dorchester Collection hotel to create a cocktail that reflects them and their brand. 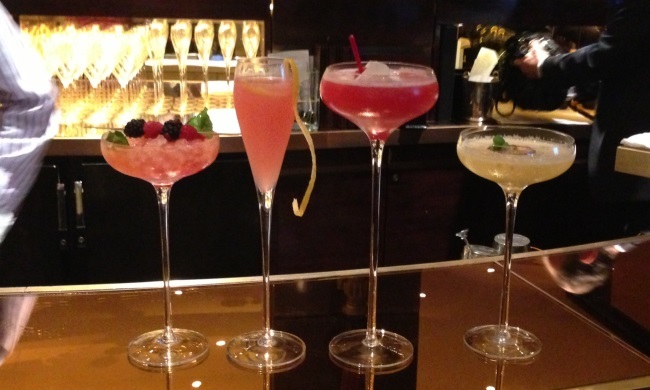 The cocktail menu will be available at five Dorchester Collection hotels: The Dorchester, London; Hotel Principe di Savoia, Milan; Le Meurice, Paris; Le Richemond, Geneva and The Beverly Hills Hotel, Los Angeles, where the shortlisting sessions took place. The limited edition menu will be available during the upcoming fashion season, starting on September 5 to coincide with New York Fashion Week until October 2 when Paris Fashion Week ends. The Luxury Travel Bible was present at the recent launch for the cocktails at London's Dorchester Hotel. Each of the cocktails was as diverse and fabulous as the designers and all look stylish and were stunning works of design. Which was TLTB's favourite? It's hard to say, but we know that sipping any of the fashionable cocktails from the menu will make anyone stylish enough to appear on any Best Dressed List! Daniele Confalonieri from the Hotel Principe di Savoia, Milan created the Casasola Martini, which was inspired by Barbara's favourite cocktail, the dirty martini. Raspberry infused vodka, Chambord, pineapple juice and raspberry puree are combined with champagne to create a richly coloured cocktail the favour of which intensifies the more it is sipped. Huishan Zhang - Berry Lace. Le Meurice's William Oliveri created 'Berry Lace' which is a spin on the traditional Mojito. Inspired by The feminine style of Huishan Zhang's collections, where bespoke lace is the signature fabric of his design house, is reflected in the cocktail tha combines rosé champagne, strawberries, raspberries, brown sugar, lime juice and fresh mint leaves. Designers Fyodor Podgorny and Golan Frydman joined forces with Robert Rouleau of Bar Nineteen 12 at The Beverly Hills Hotel to create 'Marilyn', a champagne-based cocktail with peach purée and fraise syrup. The swirl of lemon rind reflects the bright nature of their designs and the name comes from the glamourous and fragile Marilyn Monroe, who the duo has named as a source of inspiration. The Dorchester's Giuliano Morandin worked with Emilia to create 'The Emilia' which was inspired by two of the designer's favourite cocktails; a passion fruit martini and a Moscow mule. The cocktail combines ginger liquor, passionfruit and lemon juice and is topped with champagne. The cocktail is served in a coupe champagne glass, which reflects 1930's couture, which is a source of inspiration for Emilia. 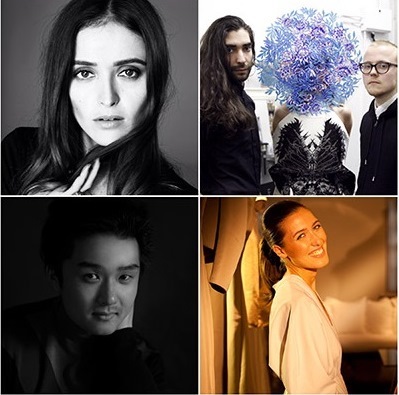 Fashion designers Barbara Casasola, Fyodor Golan, Emilia Wickstead and Huishan Zhang have been shortlisted for the he 2013 Dorchester Collection Fashion Prize. The prize was established by the Dorchester Collection in 2010 to support emerging young talent in the fashion industry. The prize carries an endowment of £25,000 to help establish the designer's brand, a two night stay at a Dorchester Collection hotel, and in a new element launched this year, the prospect of one-to-one mentoring from a selection of the judges. The Grand Final will take place at The Dorchester in London in October and the finalists' designs will be displayed on The Promenade at The Dorchester in September.